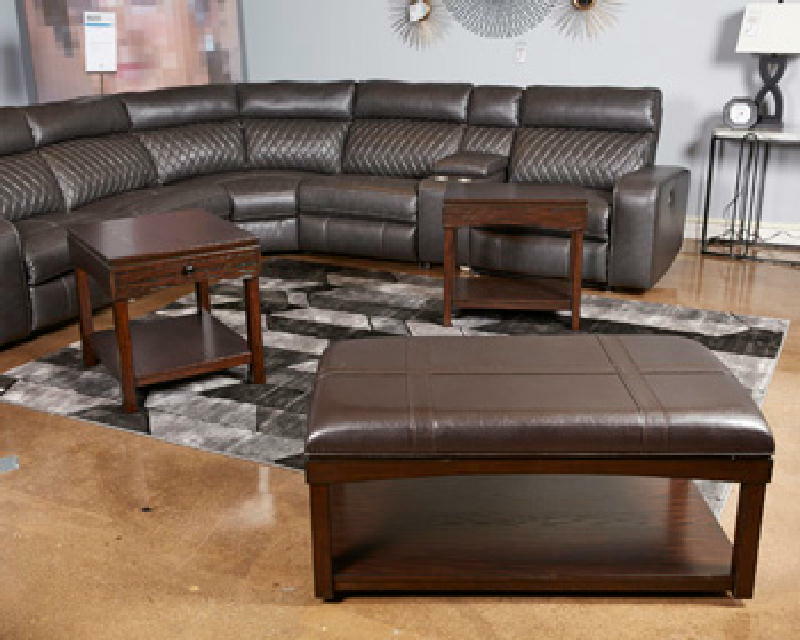 Made with Oak veneers and select hardwood solids in a transitional family room finish. Cocktail ottoman features a durable brown PU cover with a sewn-in strap effect and casters for mobility. AC power supply with 2 USB charging ports in the chairside table. Pullout tray in the end table.